We are the leading manufacturer of a superior quality range of Screw Conveyors for Sugar Industry, These Screw Conveyors for Sugar Industry are highly demanded in the market and appreciated by our premium clients. These are made of high quality of raw material. We offer these in following capacities: Ranging from 10HL to 100 HL It successfully cater to the requirements of the clients and provide efficient work output for long work life. Apart from this, we also offer customization to our valued clients in order to suit their specific needs. 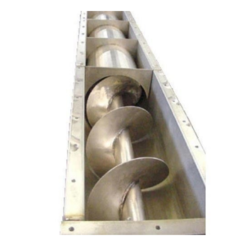 Looking for Screw Conveyors for Sugar Industry ?